I write in my sleep. And when I awake, I think in paragraphs. For I'm a writer, an observer of the world. Though I carve out time daily to scratch out my thoughts, inspiration knocks at the most unexpected times. I hear the rap when I'm peeling potatoes, boiling eggs, spooning mushy carrots into my baby, or telling my preschooler to eat his broccoli. At those moments, I search for bits of paper. Anything. Even a crumpled napkin will do. I must answer the door even if water spills over or the kitchen is left amiss. Inspiration enters when I'm plucking tomatoes from my garden, folding laundry, driving to play date, or seeping tea for my hubby. And sometimes the tea never makes it to the table, because the idea speaks louder than the whistling kettle. When I rest my head on my pillow, a light bulb illuminates my mind. I've got the answer to my protagonist's dilemma. I know if I roll over, or push the muse away, I'll lose the thought. My hero will die. So, I ransack the room for a journal. A writing instrument. And where are the pens when I'm in dire need? Oh, I love to bake, put meals on the table, and spend time with loved ones. And if you come over, I'll even make tea. But, if a sliver of light falls on your cheek, forgive me if I ask you for the back of the receipt in your pocket or purse. And when inspiration knocks, I'm compelled to answer. When does inspiration knock for you? Do you answer? When do you get your best writing ideas? "To Be Read?" Or "To Have Said?" Here's a question for thought. On Oscar night, 1982, who would you rather be? David Putnam, the producer who walked up to the stage to receive the Best Picture trophy for “Chariots of Fire?” Or fellow producer George Lucas whose “Raiders of the Lost Ark” was the big money maker for the same year? 1981 movies too long ago for you to remember? All right, let's set the chronometer forward a quarter of the century and look at two other movies: “The Illusionist” and “The Prestige”. I find it fun looking at the Amazon reviewers argue about which was better. My opinion? “The Prestige” was the better movie but “The Illusionist” was the one I enjoyed watching better. While both movies dealt with turn-of-the-century illusionists and released the same year, comparing them is like the cliché of apples and oranges. “The Illusionist” was an old fashioned movie, with a clear cut hero, a clear cut heroine, a clear cut villain, and a likeable antagonist. “The Prestige” had two leads that did not fit the nice neat molds. On the other hand, it made you think more. It strove to be a higher form of art. Yes, you can say I'm dealing with the philosophical debate of making great art or good money. Should we aim to please the people even if we're being imitative rather than innovative? Or should we seek to make the critics notice, doing something that is more creative but may not have mass appeal? Let's get real for a moment. Any true artist has enough pride in their work to do their best and not produce garbage, but also knows they need to reach enough people for their project to be profitable. However, there will be times when we debate on whether to take a risk that may lessen our audience or not. There's no right across-the-board answer. But is it really money vs. art? No question about the money side, but let me propose that there is either a conscious or an unconscious message to the art. I recently read Saving Leonardo by Nancy Pearcey which looks at how worldview affects art. She mentions that Gian Carlo Menotti was criticized for his one act opera “Amahl and the Night Visitors” because the music was too beautiful. As Christian novelists, is our goal “To be read” (i.e. getting books off the shelves and into hands) or “To have said” (i.e. having a clear message)? As I said, most of us would answer this question “Yes.” We want both. But, as I also said, we will lean one way or another as we write. I have written two complete novels, over 20 years apart. The first one was basically written to become a popular adventure movie. I had no real message in the story. What's funny is that while I wrote it as popular fiction, it was probably too Christian for the secular market and too secular for the Christian market. The reason I wrote the more recent novel was because I had a purpose for it. I thought I could get more people interested in apologetics by writing a novel about a murder mystery at an apologetics conference than I could writing a non-fiction tome. As I wrote it, I had no plans to write a second novel unless I felt led to. And you guessed it: my hunch is that the message novel is more marketable. This question will affect certain aspects of your story, though. Some of you may have seen a question on the ACFW loop about whether it's appropriate to use a phrase that was considered vulgar when I was younger but has become more common place. Using it would be more realistic, but it might also be offensive to some readers (as well as making agents or editors nervous). On the other hand, I read a novel where the author made some very strong points that represent a theology that not all Christians share. Let me get practical. In a couple of my works in progress, I've debated dealing with homosexuality and the tension between that lifestyle and conservative Christianity. I came to the conclusion it is not necessary in the story I'm working on now. I'm not as sure about the third installment. I know that this is a risk, but what is more important? To deal with the story and offend some people? Or keep everybody comfortable? I'd love to get your feedback. This is a great philosophical question, and I don't believe there's a wrong answer. Lesson 8: Who's Responsible for Making the Book Sell? The author. Always. Still, there are things the publisher can do to help or hurt sales, and you want your contract to add the "helps" and eliminate the "hurts." On the helps side, you want the publisher to do as much promotion as possible. Once upon a time, the publisher took the primary responsibility for marketing. Today, that is no longer the case. Still, the publisher wants to see the book succeed, so it may at least agree to send out advance reader copies and press kits and provide postcards or bookmarks (or give you a copy of the artwork so you can make your own). If the publisher says it will create a trailer or sponsor a book tour, the contract should spell that out. If the publisher won't agree to put its promises in writing, assume you will be doing all the promotion on your own. Some contracts explicitly turn the historical relationship around and require the author to self-promote the book. For most of us, a clause that requires us to use our best efforts to promote the book is not a problem. After all, we want to do what we can to make our baby successful. But beware of clauses that include objective measurements or require promotional activities that are beyond your time, resources, or talents. 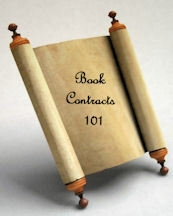 Ideally, the contract should also tell you how much of the book you can reproduce for promotional purposes. Can you post three chapters on your website? Or one? Or none? Even assuming you still own the copyright, you are leasing most or all of the publication rights to your publisher. So you could violate the contract if you use more than the publisher allows. On the hurts side, the wrong title, front-cover design, or back-cover copy could damage your sales, so try to retain as much control over them as you can. The publisher often has a better feel for what makes a title work than the author does, so you always want to listen to suggestions. The same is true for the back-cover copy. Still, publishers can make mistakes. Although few publishers will allow you full control over the title and back-cover copy, some will give you approval rights. If yours won't, try for a provision that says the publisher will consult with you. That doesn't guarantee the publisher will listen to your comments, but most will try to find a compromise. The publisher usually creates and pays for the front-cover design, so the author is not likely to get approval rights. It's also hard to get consultation rights, but you can at least ask for them and see what the publisher says. The author and the publisher have the same goal: to sell as many books as possible. But you still want to maximize the helps and minimize the hurts. In the mid-1970s, I wrote for a small-town weekly newspaper run by three newly-graduated Indiana University journalism majors. I was in my mid-30s at the time, making me the old lady of the group. Nonetheless, I shared their enthusiasm--reveled in it, in fact. Together we were going to change the world. Our small part of it, at any rate. That was when I met author and literary patron George Plimpton. Okay. I didn't literally meet him. But I learned of his work. His style influenced me then and continues to do so. In the 1960s, Plimpton became known for his "participatory journalism." When he died in September 2003, NPR's Mike Pesca summarized Plimpton's life saying, "He boxed with Archie Moore, pitched to baseball legend Willie Mays, played in pro-am golf tournaments and even performed in the circus. His best-selling book Paper Lion chronicled the time he spent in training camp with the Detroit Lions football team, posing as a slender, awkward quarterback candidate from Harvard." That's what I liked about Plimpton. He didn't simply interview people or read about a subject; he got down and dirty. He did the thing, whatever it was, and I wanted to do that. Physically, I couldn't always participate to the degree he did, but I came as close as I could. I still do. When I decided to do a story about a young black blacksmith, I researched smithing, learning the difference between cold-shoeing and hot-shoeing. Then I met with the farrier in his barn. To this day, I can describe the sickening smell of a hot shoe coming in contact with a horse's hoof. When a former professional boxer decided to attempt a comeback, I went to the gym with him, photographed his routine, and punched the bag a few times to get the heft of it. From that experience I can tell you that it is not easy to get control of the teardrop-shaped "speed bag." As for the cylindrical "heavy bag," it's practically immovable. And well I recall the smell of that old gym. Which brings me to Konstantin Stanislovski, whom I met (figuratively, again) when I minored in speech and theater in college. Stanislovski advocated a style of performance called "method acting." The method departs from classical forms by asking the actor to internally experience the scene. A method actor will not simply pretend to be sad, angry, or jubilant; he will recall events in his own life when he felt those emotions--the death of a beloved grandparent, the unfair termination of a job, the birth of a child, for example. Inasmuch as is possible, he will mentally relive those times so that his expression of the actions and emotions will be truthful, not contrived. I've often wondered if Plimpton was influenced by Stanislavski, applying some of the actor's ideas to writing. Though I don't take it as far as method actors do, I try to experience as much of what my characters do as I can, stepping out of my own Born oxfords and into their tennies, high-tops, or whatever. (For that reason, you'll never see an MC of mine wearing stilettos.) As a first-person historical storyteller, I get to relive particular periods of the past through my performances, many of which are at festivals celebrating early Indiana's settlement, the Revolutionary War/War of 1812 era, and the Civil War. Participating in such events provide a window into the past for the writer, also. How do you experience the daily lives of your characters? Do you know of a writer who goes to extraordinary lengths to know her characters and settings? I'd love to read about it on the "Comments" page, as would our readers, so please share. “Art begins in a wound,” according to John Gardner, and the same could often be said concerning ministry. As writers, often our writing and our ministries are connected. Let’s talk a bit about passion and then look at how you can use your passions to influence your ministry and your writing. Passions, in brief, are strong feelings. The emotions can be positive like love or loyalty. They can also be negative emotions such as hate or rage. Synonyms such as zealous, ardor, and enthusiasm may help bring it into focus. It is interesting to note that the word enthusiasm comes from the Greek en theos, which literally means “with God”. Since passions are, by definition, strong feelings, then that is where you start. You observe what causes or beliefs evoke strong emotions in you. Whether it is a news story, an activity, or the lunch table discussion, what are those things that make you want to weigh in? What makes you cry? What evokes feelings of righteous anger? What brings delight to your heart? You can also notice what draws your attention. When you read a newspaper or scan the television channels, what captures your eyes and your heart? When you are in a group setting and have the choice of several conversations to dive into, where do you gravitate? One last test you can use to discover your passions is to ask yourself this question: What do I most long to see God accomplish. Your answers may lead you to your passion. Do you want to see orphans set in families? Would you like divorce to be a thing of the past? Perhaps you’d like to see people find freedom from addictions. Possibly it is a group of people you’d like to see helped such as single moms, teenagers, those suffering from AIDs. What Do You Do with Passions When You Find Them? As mentioned before, many times our passions rise as beauty out of the ashes of our pain. The woman abandoned as a young mother feels a burden for single moms. A post-abortive teenager grows into a woman determined to keep others from that pain. A child of divorce seeks to help marriages thrive. Working out our passions in our writing or in our ministry helps us to bring “comfort to those in any trouble with the comfort we ourselves received from God” (2 Cor. 1:4). Our trial gains meaning and value when God allows someone else to be helped and healed because of a pain in our past. 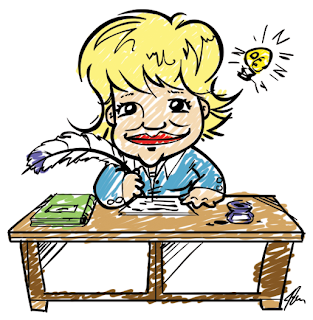 Whether you write fiction or non-fiction, your writing can reflect your passion. Fiction writers often give characters painful pasts or character flaws. In the course of the novel, as the character comes to a place of healing or surrender, this brings comfort to readers touched by the same hurt. Non-fiction writers can shed light on problems, offer their own journey to healing, and give comfort and hope to others still mired in pain. Ministries within and outside the church abound, bringing help and healing from nearly every painful experience that might shadow your history. One caution is needed when taking a painful past and transforming it into a ministry of healing whether through your writing or another outlet. You must have already found healing and, if necessary, forgiveness from the painful experience. Christians should always minister out of a place of fullness. If writing is therapy for you, then write until your soul is purged; just don’t expect to publish it. Your readers don’t need to be shielded from the raw emotions or messy consequences of your pain, but they need to see it as only one part of a journey of wholeness whether you are writing fiction or non-fiction. The same is true in any other ministry. We live in a sick and hurting world. People desperately need the hope and healing Jesus offers. What are those beliefs and causes you will choose to champion? Who are the hurting people you will choose to help? How do your passions come through in your writing? Two little German farm boys edged up to a Union soldier at the edge of their camp. The young soldier was glad to tell them about his musket and bayonet. The boys were too bashful to say much but the young soldier, standing tall and straight in his blue wool uniform, filled in the gaps. His bayonet, by the way, worked out pretty well for roasting corn over a camp fire. That got the boys to laugh and ask more questions. The freckle-faced boys and the rest of the family were actually visitors from the year 2011. Our family took a trip to Conner Prairie this summer. While the kids saw a lot of Indiana history re-enacted, my writer's mind raced. Living history events fascinate me. I so enjoy seeing period details brought to life. For instance, the young soldier was about 20, about the same age as many Civil War soldiers. He showed the kids percussion caps and heavy lead Minie ball bullets, then pointed out a surgeon's operating room in a farm out-building. Nearby, a lady store keeper struggled to sound calm as she described Confederate raiders plundering through her shelves and burning their store house. I couldn't help noticing the pretty shape that hoops gave to her calico dress, how her hair was done and how the store was set up. We were able to go back a generation earlier in the 1836 Prairie Town settlement and restored Conner House. Mr. Conner balanced between two worlds, Indian and white, in his many adventures. A fur trader and scout, he married an Indian and had several children with her, but lost her when she took the children and moved West with her tribe. A lot of drama there. What did his second wife think of all that? In the kitchen one of the volunteers told us all about cooking over the huge fireplace and using the beehive oven next to it. A Dutch oven sat on the hearth and she let me use a pot hook to take the lid off and move the crane around. How would an 1830s house wife prepare a Sunday dinner? We talked about that as well as the dangers of fire to women and children. All of this suggested bits and pieces for my work-in-progress, set in Indiana during the Civil War. For a burst of ideas, for me a living history event is an excellent source. My vacation just ended, the laundry is spilling out into my overgrown yard, and the ACFW conference is fast approaching--all reasons why I don't have time to write a brand-new blog and you probably don't have time to read one--at least, nothing complicated. So I'm reviewing a few basics about editor/agent appointments that I shared in a workshop a few years ago. Some have likened these encounters to first dates--a prospect that causes many to lock themselves in the conference hotel bathrooms. Hopefully, these brief reminders will help coax us out of the stalls. First, preparation can make a huge difference. Prepare a logline: a super-short summary (one or two lines) designed to make the editor want to know more. Practice saying your logline until it sounds and feels natural. Make copies of your best clips (published works) to share. 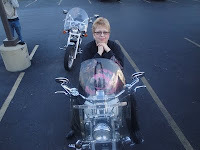 My initial pitch for my novel did little to connect me with my future agent at ACFW; my brief nonfiction piece grabbed her attention. Complete a one sheet (see an example at http://bit.ly/ownogf). Either make or buy business cards. Prepare an outfit that makes you feel comfortable, confident and professional. Gather materials to take with you (one sheet, clips and business card). Take ideas/materials for a different project, should the opportunity present itself. Role play with another writer if possible, taking turns being "editor" and "writer." Arrive a minimum of ten minutes early, take a few deep breaths and pray beforehand. Now's your chance: show your style! Greet the editor/agent with a smile and present her with your one sheet and business card. Be pleasant and professional. Take your cues from the editor/agent. Be prepared to deliver your logline and answer questions about your book. Be prepared to highlight positives about yourself and your writing career. Ask if she would like to see your clip. If not, don't freak. If she returns your materials, take them. If not, assume she wants them. If she invites you to ask questions, ask a brief one that centers on her philosophy as an editor/agent or her expertise in publication trends. Otherwise, do not ask questions. If she invites you to send your proposal, make sure you obtain the correct contact information. If she says no, do not argue. Thank her. Positive or negative, don't extend the appointment past limits. Positive or negative, send her a thank-you note. Bottom line: make yourself and your book likable and memorable. If this book does not work for her and her company, perhaps another will in a year or two. I know some of you are masters at pitching your work. What come-out-of-the-stall tips can you offer your fellow writers? Today I have the pleasure of introducing you to Kristy Cambron - Christian wife, mother of two young sons and corporate executive. 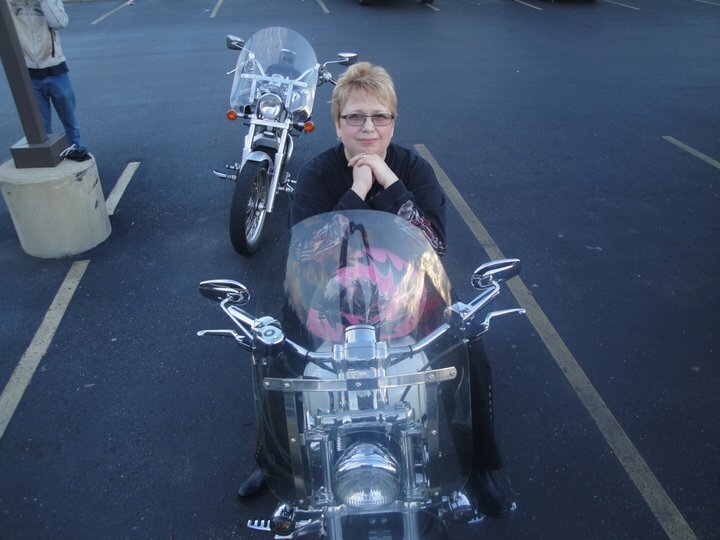 Kristy has recently joined the ACFW and will be one of my roommates at the conference in St. Louis; if you're there, I hope you'll take the opportunity to meet her. 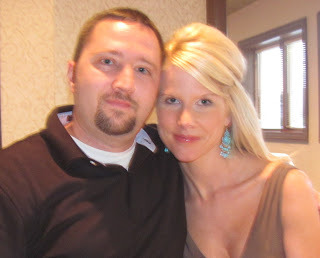 Below is a beautifully-written blog by Kristy about my favorite topic, love. It is posted with her permission. Blessings my friends. We attended a wedding this week. As you can imagine, the day was indeed full of laughter and hugs. There was a proud groom, a beaming princess of a bride, and a host of supportive friends and family to fill the chapel. The scene was awash in the usual flash of many cameras. Everywhere you looked and walked and smiled, a happy energy seemed to follow; for something amazing was about to happen. A couple is embarking on the journey of a lifetime, and they're pledging to do it together. It was at this wedding that I was reminded of the concept of an unspoken language. Since we began dating, my husband and I have had our own language. This language doesn't pop-up all the time. It's the unspoken words that we choose to say when words are just not enough; I am always and will forever be moved by it. In some of the most meaningful moments of my life, my husband has reached for my hand and in complete quiet, gently tapped my palm three times. This has always meant and will always mean, "I. Love. You." Ten years out from my own wedding day, I can honestly say that the old comment about hindsight is true; I've learned a lot as I look back now. That's what's so special about the three taps that brushed my palm on the reception dancefloor this weekend. The "I. Love. You." meant more than what the three words say. I love you as we walk through joy, but I love you even more when tragedy and loss mark our path. I love you in each step we've taken together, whether right or wrong, hurtful or not. I love you in this moment because of all the moments we've shared, and all those yet to come. My hand felt those taps on our wedding day as we exchanged rings. I will never forget that moment. It reminded me that though the day was perfect, there would be some days ahead that would test us, and that the love we felt then would have to be enough to see it through. Our hands have exchanged those taps at a funeral or two, and I was reminded each time that neither he nor I were standing alone. I remember several times of quiet when my hand reached out for his, to tap the three words when nothing in particular was going on. as I cried at the loss of a loved one, as we each said "I'm sorry", as we sat by the hospital bed of our young son ... I.Love.You. I am moved by the small gestures of life; the ones that carry weight, the ones that hold a depth of meaning beyond the obvious. It is the words of a unspoken language that carry the most weight. I am moved in viewing my own imperfection, sin, failure and an eventual restoration through Him, that Jesus Christ lived this unspoken language of love nothing less than perfectly - and his gesture of love was the greatest that anyone has ever given you and I.
I love you when everything is perfect, but I love you even more when it's not and you follow me. I love you when you're smiling, but I love you even more when you cry to me. I love you when you ask forgiveness, but I love you more when I can give it and you know it's not deserved. I love you as we walk through joy, but I love you even more when tragedy and loss mark our path. I love you in each step you've taken together with me, whether your right or wrong, your hurt or not. I love you in this moment because of all the moments we've shared, and all those yet to come. I. Love. You. I can almost hear His whisper in those same life-moments that my husband and I walk -I.Love.You. Our relationship with Christ is a two-way street; just like marriage and just like any relationship that has merit, it takes the giving and receiving of a willing heart to say and really mean those three little words. Jesus has already done the difficult task for us - he willingly gave. He gave more than you and I will ever know on this side of eternity. We have the easy part. There's no risk; all we have to do is receive. Did I mention that the three taps of I.Love.You. between my husband and I are always followed by four taps from the other person? I think the love that Jesus gave is just waiting for those four taps back from us - I. Love. You. Too. Two years ago I headed cross-country to a writers’ residency. Early chapters were forged, later chapters were forming. Those five days would not only sharpen the current drafts but also define drafts to follow. I could hardly wait. On day three a mentor slashed the chapters. The content, the style, and especially the voice were inappropriate to the story. I was astonished. She continued. They were inapt because I was inept, both as observer and communicator. My mind went numb. My fellow residents shifted in their seats. I could hardly wait to jump out of mine. That afternoon the Lord initiated treatment. Turn your eyes to Me. Keep looking at Me—My character, My ways. Consider the source. She has a proven record of writing and being published. Consider her risk. Even though she could not guess how you would respond, nor did she have anything to gain by harsh critique, she risked, using painful candor. Faithful wounds are better than deceitful kisses. Look at the submission with different eyes. She shocked you out of arrogant naivete. She has invited you to improve. Choose a healthy response. Vengeful options—criticism, ridicule, gossip, slander—feel pleasant for a moment; but only forgiveness can ultimately satisfy and set free. how many stitches will there be? First, turn toward her. Ask her questions. Listen to her answers. Learn all you can from her. Genuinely thank her for her help. Second, turn to Me. I have called you. I am faithful to you, even in this pain. And through this pain we will know each other far better. You’ll thank me for it. And I have. My soul bears that day’s mark. By it--that faithful wound--I am tutored and encouraged. Characters can be tricky to build. I found it took weeks or even months for me to fully find myself inside a character’s head. But with deadlines now looming on the horizon, I do not have the luxury of letting characters simmer until well done. I need to know them now. I’ve been busy the last few weeks nailing down the tweaks on a couple characters. And since I have this milling around inside my head, I thought I would share the questions/method I have been using. 1) Name. Even though I write fantasy, I like names that are familiar yet different and pronounceable. 2) Age. Obvious one, how old is the character? 3) Race. Irish? Jewish? Alien? Hobbit? What race is this character? 4) Core Personality. This is really the skeleton by which every other part of my character hangs on. I use a combo between Meyers-Brigg and DISC. Is the character an introvert or an extrovert? High paced or slow paced? Methodical or a dreamer? Whatever the core is, the character’s personality will color every other part of his or her being. 5) Physical appearance. Hair color? Length? Eye color? Skin? Body build? I usually go into great detail (just for my info) even going as far as eyesight and perhaps a sense more attuned than the others. 6) Birth order. Family is important and greatly influences for good or bad. Is this an only child? Siblings? Good home? Bad home? Left at the orphanage? What does my character think of his/her parents? 7) Culture. How has culture influenced my character? Is she from a tribal situation? Is he from the Depression Era? Is she technology savvy and knows how to text, twitter, email, and facebook all at the same time? What is important to that culture? Are there taboos? Does he/she fit in? 8) Religion. Christian? Atheist? Muslim? How devoted is the character? 9) Embracing God’s Approval. How does the character see his/her self? How do they think God sees them? 10) What is likable about this character? Sometimes this can be a hard one for me, especially if I am dealing with a logical bookworm. Why would others like this character? 11) How do others perceive this character? This is where I take all the other main characters and write out how they perceive this character. I also write out how this character would be perceived if met on the street. What are the first impressions? 12) Manner and topic of speech. Accent? Use big words? Proper or slang? 13) Inner journey. What is internal knot that is tripping this character up at the beginning of the book? Why is it harmful? What will happen if the character never changes? Does the character change? What causes the character to finally deal with it? I hope these questions help you discover your character(s) beyond surfer dude, high school jock, timid housewife, or evil dictator. And to give credit where credit is due, I first heard these questions during a science fiction and fantasy writing track taught by Jeff Gerke at the 2010 Mt. Hermon Writing Conference. Since rules become rules through usage, I hereby urge some changes. If we all use what I suggest often enough (and urge others to do the same), we can cause change. And of course, I'm referring here to a few grammar or writing rules. Are you game? The first rule I'd like changed is the "whom rule." For years, I've been advocating the death of WHOM. I'm pleased journalism is, by and large, doing so, especially when WHOM leads in the sentence. For example, this question: "WHO will the rebels attack today?" A fourth usage problem in our English language is NOT a problem in many other languages, including Chinese (my childhood's second language). Maybe you've already guessed the problem -- our HE and SHE antecedent pronoun problem caused in part by our politically correct age. The problem results from English not having a gender-neutral singular pronoun. Sure, we have IT, but so far, it is not used for a person. The Chinese pronoun for either "he" or "she" is TA. Maybe our American English can adopt this Chinese pronoun, like we have many words from other languages. There are more language rule changes I'd like to suggest, but I'll let you do that in the comments, please. However, while I have your attention, how about one more change that's not language related, and one addition. First, the addition: let's add AYC to our useful list of acronyms, like BTW and FYI -- AYC for "at your convenience." If it's already out there, I've missed it. And nobody knows what it means when I use it. And the non-language change: let's move our forks to the right side of our plates beside our spoons, and move our knives to the left side. That's how we use them since we no longer dine British or European style. Sometime, maybe during our rebellion against England, we switched hands for the usage of those utensils. Now it's time to switch their position in our table settings. I do have one more change suggestion. But I'm embarrassed to mentioned it here as I've not followed it. I think ALL BLOGS should be limited to one, two or three paragraphs (like Cec Murphy's). That way, we could all enjoy more blogs during our busy days. If I had to choose one book for a student just entering the writing field, I would unreservedly recommend Christopher Vogler’s The Writer’s Journey. The author is a Hollywood development executive who has worked for Disney, Warner Brothers, and Fox 2000. Although The Writer’s Journey is more popular among screenwriters than novelist, I’m often surprised at the number of writers who’ve never heard of this resource. No single book has given me as much valuable information as this three-hundred page text. Based on the psychological writings of Carl Jung along with the mythmaking philosophy of Joseph Campbell’s The Hero’s Journey, this book simplifies the basic structure of storytelling. Some claim The Writer’s Journey is a formula, and applying this formula to your writing will make your stories all appear to have the same structure, which will leave your stories boring. I say all good stories have the same basic elements, which make them interesting. This book teaches those elements. For example, all good stories include at least a rough structure of beginning, middle, and end. Yet we don’t consider that formulaic. Also, good stories usually begin with the main character facing a change in his or her world (inciting incident), and that change prevents the character from continuing life as they always have in the past. As readers, we’re attracted to that upsetting of the normal world and even though we read it over and over in books and see it in movies, we don’t consider it formulaic. Other stages explored in The Writer’s Journey include the mentor (the wise old man or woman), approaching the enemies cave (often near the story’s midpoint), the ordeal (where it seems the main character cannot survive and this must surely be the end), and seizing the sword, and returning home with the elixir. Each of these stages is an important part in a story, and we like to read about them because they help us make sense of our own disrupted world. Some suggest a writer should read The Hero’s Journey before reading The Writer’s Journey, but I found The Hero’s Journey difficult to digest. In contrast, The Writer’s Journey was not only an easy read, but also extremely educational. There is a reason this book is an international best seller and a true classic. The Writer's Journey lays out the relationship between mythology and storytelling in a clear easy to understand manner. It is not only a classic writing book. It’s a way of looking at life. On the Dewey Color System site there is a quiz about colors and how they can show your leanings and preferences in career building. I'm slightly past the day when I'm looking at my first career, but I am working on the career for this stage of my life. Tests like this always fascinate me. Kids today have so many resources to discover who they are, how they think and where they should be going on their career path. I have been a dessert girl, ticket checker, assistant to a university president secretary, preschool teacher, elementary teacher, reading teacher, assistant librarian, P.E. teacher, a coach, a Bible study leader, book reviewer, acquisitions reader, Sunday School children's department leader, executive school board officer, curriculum advisor, an editor, a fiction consultant, columnist and a writer. If I could go back in time, I would have found the career path to be an editor,I think, preferably in fiction, or I would have been an artist or cartoonist (I did have a cartoon strip in the high school newspaper, back in the day.) My other interest is in educational learning modes and theories. So, if you could go back, would you have taken a different turn on that path? Looking forward, how can you use this information in your writing or what you are doing now? Do tell! My Computer is Secure, or is it? Besides “True” or “False,” you might have been thinking “always,” “never,” “sometimes” or some other colorful metaphor in response. Unless you write and submit your manuscripts by pen and paper, your computer is the means that allows you to “pen” your stories, articles, and blog posts. Your computer allows you to email your fellow ACFW members, update your facebook account, send tweets, and connect you to your readers. With all of these technological wonders at your disposal, you have the makings of a giant technological mountain to climb in order to keep your software up-to-date and secure. Technology organizes your life, allows you to electronically communicate with others, and enables you to publish your stories. Writers depend on their computers, tablets, internet connections, wifi signals, and smartphones to accomplish all the tasks that writers perform. The personal computer is at the center of all of these devices. It is not a far stretch to say that your writing life revolves around your computer. But, as you probably well know, technology can also be very frustrating, difficult, and in some cases, dangerous. “Dangerous,” you might be thinking with an unbelieving look on your face. Yes. Unfortunately, there are people out there in cyberspace that count on users NOT keeping their computer (or other device) secure by not knowing how to do so. I hope that you have not been taken down that road. In an effort to streamline the security process, I have developed 10 quick-and-easy guideposts that can keep you from getting over burdened by all the actions you must take in order to keep your computer (or any tech device) secure and safe. Develop 5 sources of information on the internet where you routinely look for help and to keep up-to-date with security threats for your devices. These sources should always be the ones that are the most current. Why 5? Because there are TONS of resources on the internet. If you spend all of your time checking endless websites, you will never get any writing done. By having a few good specific sources to check, you maximize the time you spend searching and increase the chances of finding what you are looking for. TIP: the first place you should always look is the website of the company that made your device: Apple, Microsoft, Motorola, Nokia, AT&T, Verizon, etc. Look for knowledge base articles and a user support forum within these websites. Develop some “go to” people that are familiar with your devices that do not mind you calling on them for help. As they help you understand your tech, make every effort to learn the how and why in regards to the issue and how to solve it. Take good notes and ask questions. Ask your teacher where they get their information from in order to start building your own sources. Find one or two good books on the subject of your technological device. There are endless books about X, Y and Z. Check Amazon to see what the pros and cons are of the book your looking at before investing. TIP: I recommend “The Missing Manual” series of books by O’Reilly (David Pogue). They have a book for almost everything and regularly update it. Schedule time to learn about your device, explore the features, and become an efficient user of your technology. Don’t be afraid of it. Overcome the fear by learning. We tend to fear what we do not understand. Do not fall into the trap of “it can’t happen to me.” I know plenty of computer users that never backed up their data, fell victim to malware, or had their data hacked because they thought it could never happen to them. The next steps are geared towards making sure that the software behind your devices is up-to-date. Both Apple and Microsoft operating systems are updated on a regular basis, especially when a prominent security threat has been detected or reported. In fact, it becomes even more important to get your computer updated in this last case because it then becomes a publicized security threat. Both Mac and Windows operating systems have a software update function that can be set to automatically download and install updates, notify you of updates, or both. You minimize your security risk by keeping your software up-to-date. These updates also usually contain bug fixes for your software. It is easy to forget, but 3rd Party apps also need updated. Your web browser uses Java and Flash Player. You view PDF files with Adobe Reader software. You might be using Firefox as your main web browser. All of these 3rd party applications get updated on a regular basis to fix security issues and add new features. The makers of each application are the best sources to get these updates, but you should also be able to use their built-in update function or automatic updates function mentioned earlier as well). Make sure you have your firewall turned ON and that you update your Antivirus software definitions on a daily basis. Your AV software will also have an automatic update setting. Make Backups of your data (or at least your most important documents, like your manuscripts). There are two kinds of people in the world: Those who back up their data, and those who will. Passwords: do not use the same password for everything, password-protect your laptop if you travel, and be sure your in-house wifi network is password protected (including the wireless unit itself). Taken collectively, this list can help keep your computers secure, save you the costly time and money needed for repairs, and keep you writing by avoiding the downtimes resulting from issues. I recommend that you keep a notebook to jot down notes about your tech. Keep a checklist to help you stay focused and organized to keep your use of time efficient. Always know where, when, and who to ask for help. It took longer than nine months, but my baby is due any day now! I'm terribly excited about my new baby, er, book and I want to remember this feeling because I think the emotions might be very similar to the first time you deliver a human baby--nothing compares with the awe and wonder of it. I can hardly wait to hold it in my hands and count its fingers and toes, er, its pages. I've been published in compilations and magazines, but this is my first true blue book with my name on the front cover. Excuse me while I gush. It's embarrassing, I know, for those of you with million-dollar contracts, to observe my shameless blush of success. But for this girl who dreamed of being a writer from the time she could read, it's rapturous living on that giddy cloud of nine. My book, O Canada! 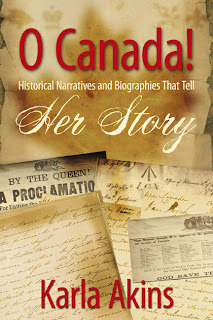 Her Story: Historical Narratives and Biographies that tell Her Story, is due out sometime this month. It's written for middle grades and the target audience is homeschoolers. But much like a Pringles potato chip, releasing a book is addictive. I'm eager to get to the next one. My new website is ready and I've started a mailing list for those interested in writing and history. Writing this book clarified something for me: while I enjoy writing humorous-contemporary fiction, I'm passionate about creating historical faction. That is, stories based on real events and people in history. I still write my columns at Examiner and Mother Nature Network. I recommend column writing for anyone because it teaches you to write succinctly and to "just get 'er done." It does this for me, anyway. If you're not yet published, I encourage you to build your writing resume this way. What has God revealed through your writing experiences lately? In what ways have you grown? I'd love to know. Write on! 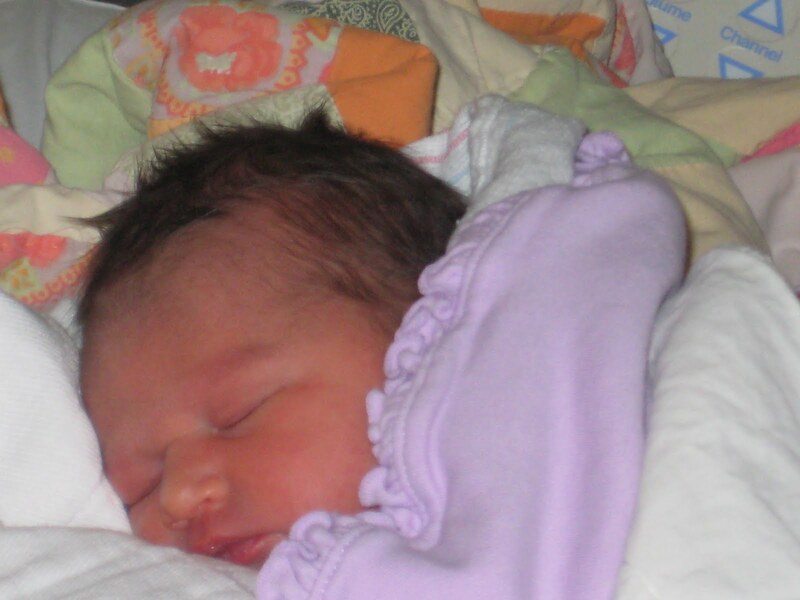 Karla Akins is a pastor's wife, mother of five, and grandma to five beautiful little girls. She lives in North Manchester with her husband, twin teenage boys with autism, and three crazy dogs. Her favorite color is purple, favorite hobby is shoes, and favorite food group is cupcakes.